Vector image collection with template illustrations of various clothing items and accessories. Women’s clothes for the spring and summer. 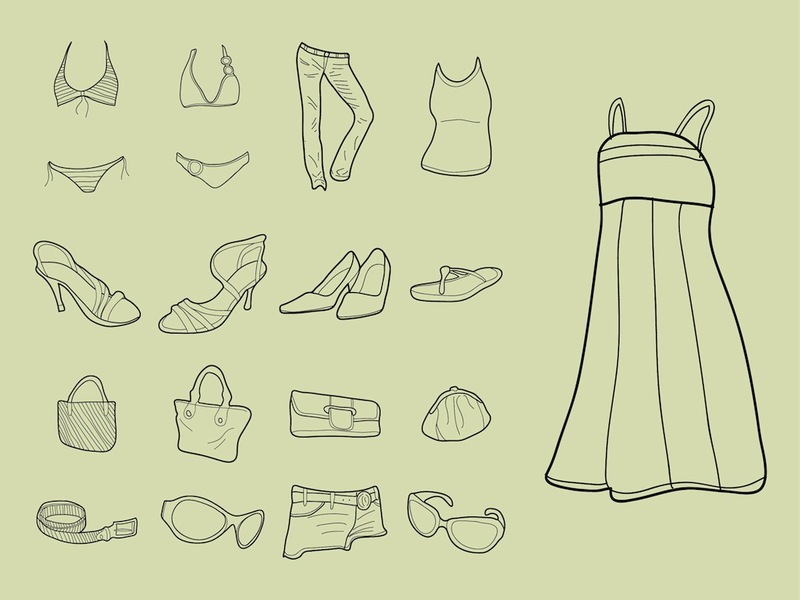 Outline illustrations of pants, tops, swimsuits, shoes and various accessories. Free vector graphics for all your summer, spring, fashion and shopping projects. Tags: Accessories, Clothing Vectors, Fashion, Outlines, Shopping, Style, Wardrobe.